I am so happy with this Jelly Roll Race top. It is a double size top, and I used two packages of Jelly Rolls. The name of these fabrics are watermelon, made by Hoffman Fabrics. 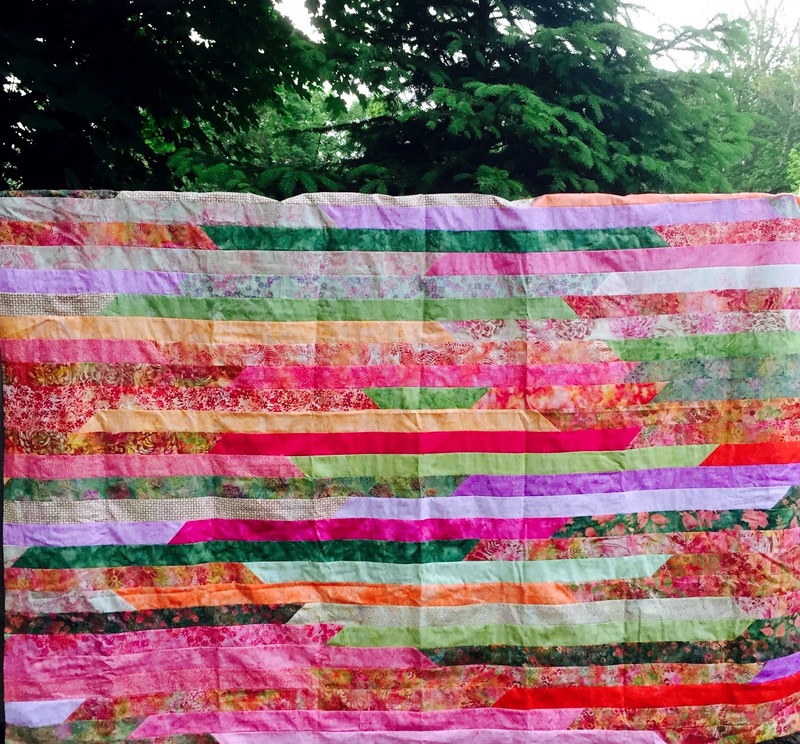 Just perfect for a summer quilt. 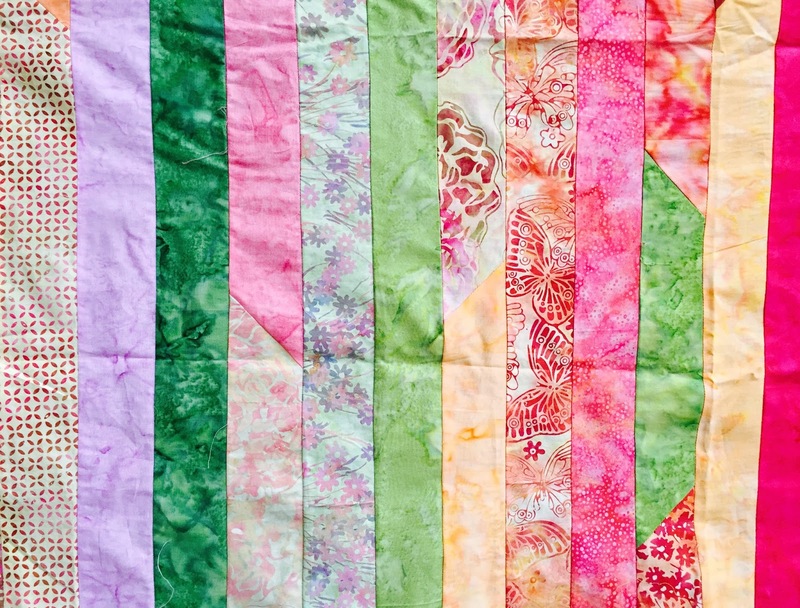 Linking up with Crazy Mom Quilts, Finish it up Friday!! And I literally finished it up in time to participate in this linky party for the first time!! Have a good weekend. Happy Quilting! !